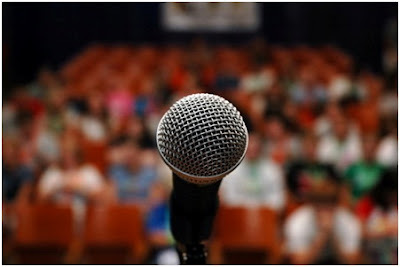 Home Building career career Career Ways Guest Author Guest Post How to become a Good Public Speaker? 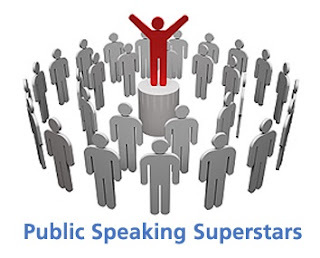 "A good public speaker is one who holds his audience's single-minded attention from start to finish. Many of our leaders today, across all political lines, are very good speakers - they are eloquent and convincing in their speeches." Public speaking is very much like swimming. To learn how to swim, you must first master your fear of water. How do you do that? By getting into the pool as often as possible and trying again and again. The first few times you might swallow some water, But once you gain confidence, picking up the techniques is not so difficult. The same with being on stage! You first need to build up your self-confidence and lose your fear. This comes only with practice. If you do not have a problem talking with a few of your friends and putting across your point of view to them, you can learn to address a room full of people. LET ME SHARE SOME OF MY THOUGHTS WITH YOU.!! Initially, this is very important. Be familiar with the place in which you will speak. Arrive early, Walk around the speaking area and practise using the microphone. You now know mentally beforehand how long your audience could be. Once you are familiar with the place, you are going to speak; u will feel more comfortable while delivering speech. If you are speaking to your school mates, No problem! These are friends that you interact with everyday. Hang around and mingle with the audience. If it is a room full of strangers, pick out a few and talk with them beforehand. You will feel yourself automatically slipping into your comfort zone. This is the most important point. You may be relaxed and confident on stage, but if you are not on top of your content, then you have not done justice to yourself. If you're not familiar with the material or uncomfortable with it, your nervousness will increase. The age old adage "Practise makes man perfect" holds perfectly true. I will share a secret with you. I always practise in front of a mirror. Practising in front of the mirror, give you the correct knowledge on how to behave and speak in front of the audiences. You are the best person to correct yourself! Strange but true. Try this! Before going to stage or delivering speech go to an empty space and shout in one stretch and then give your speech. Shouting will help u to remove all your negativity and fear from your Mind. This will really help you out and will make you more confident in front of audiences. Realize that your audience wants you to speak well. Audiences want you to be interesting, stimulating, informative and entertaining. Be Interactive with your audience. Keep your audience engaged so that they don’t get bore. Give a confident, correct and fluent speech. They don't want you to fail. Humour is the most powerful tool that any good public speaker uses. A little humour not only relaxes you but also warms the audience towards you .It helps u to put your point of views in front of audiences also helps audiences to mingle with you. Imagine yourself walking confidently on the stage as the audience applauds. Imagine yourself speaking with clarity, conviction and confidence. When you visualize yourself successful, you will be successful. Always ask your audiences to say “what they think?”. This makes your audience more engaged with yourself. Also, by this, the speech becomes more interesting and informative as more and more opinions are added by the audiences and thus help us to give an adorable conclusion at the end of the post. This again comes back with practice. Get your best friend or a family member to sit across the room from you while you are practicing. Can you be heard? Are you enunciating the words clearly? What I personally do is, TO speak words clearly, babble the words daily and regularly. Try to achieve good command over the language in which you are going to deliver the speech, So that u can speak fluently in front of your audiences. We often lose ourselves in long widening sentences. Speaking in shorter sentences also lessens the chances of you speaking incorrect grammar .Speaking in short sentences , helps your audiences to understand what u re saying. By this, they can understand your ideology more effectively. You have to win over the audience within the first few minutes. While talking, don’t speak down to audience. Talk to them as friends. You could break ice with short anecdote or a joke, but don't overdo it. Never make personal insults or use abusive language. Give your audiences a smile while talking as a friend. A smile helps to grow the feeling of respect and honour towards the speaker in the minds of audience and they are slightly propelled to listen closely to what the speaker is saying. Look at your audience when you speak to them. The tricks are to pre-select three to four spots toward the back of the room and speak looking towards them. Occasionally look around the room. Speaking in eyes of the audience, shows how confident you are and makes the audience feel that your are concerned about them and not ignoring them. But don’t stare them regularly. Don't speak in the same tone. Your speech should resemble a speeding train. Sometimes you need to go slow, and sometime you need to pick up speed. This change in speaking provides a lively affect to your speech. This is my final tip on the subject. If you do not enjoy and believe in what you are saying, how will you expect your audience to be receptive?? HOPE THESE TIPS ON PUBLIC COMMUNICATION WAS HELPFUL TO YOU! 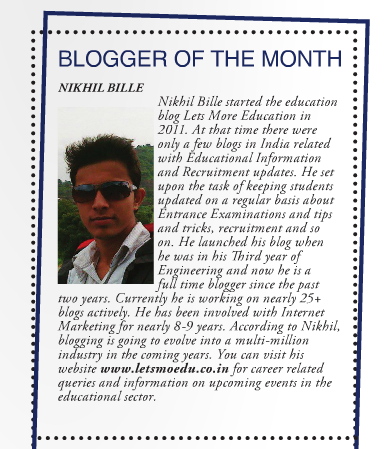 My name is NIKHIL SINGH admin of www.gkspread.com. I am a 21 old blogger From India. I love to Read books and Gain Knowledge. This blog provides lots of Information on the variety of Topics. U can catch me on Facebook and Twitter.